Request your free decal today. 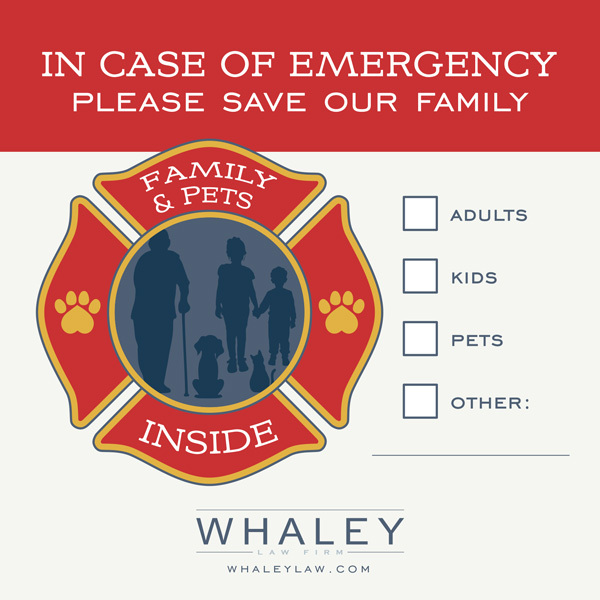 Whaley Law Firm is dedicated to fire safety and keeping you, your family and even your pets safe. Safety Week, J.R. gives local media tours and educates the public on how to survive a house fire. ensure they have gotten everyone out of the home in case of emergency. Please sign up for your free decals on this page and indicate how many decals you would like. Submit this form and we’ll send your free decals right away!